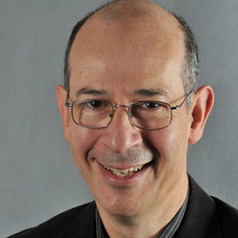 Dr. David L. Levy is Professor of Management in the College of Management at UMass-Boston. From 2013 to 2015, he was Associate Dean for Graduate Programs and Research. He helped pioneer the new PhD track in Organizations and Social Change and supervises appropriate doctoral students. He teaches courses in Organization Theory, International Business, Business and Society, Strategy, and Business and Climate Change. David is Director of the Center for Sustainable Enterprise and Regional Competitiveness, whose mission is “to foster a transition to a clean, sustainable, and prosperous economy.” The center engages in collaborations among businesses, universities, and policymakers to advance research and education. In 2011, David was the Aspen Institute Faculty Pioneer Award Winner in recognition of his work in the field of sustainability, business and climate change. David co-edits the blog Organizations and Social Change which provides insightful commentary and analysis around issues at the intersection of business and society, such as sustainability, workforce diversity, economic development, and globalization. He was also founding editor of Climate Inc., a blog devoted to discussion of business and climate change. David is frequently invited to lecture on the topic of business and climate change to policymakers, business and academic audiences. He has delivered presentations to a business forum in Berlin, a workshop of United Nations delegates in New York, and seminars at Cambridge, LSE, Manchester, Warwick, and MIT. David has conducted extensive research on corporate strategic responses to climate change in the US and Europe, and the growth of the renewable energy business sector. David is also interested in the political economy of globalization and contested processes of governance around environmental and social issues. David’s publications are listed on his CV, and some papers can be downloaded (pre-publication versions, for private use only). David serves on the editorial boards of the journals Organization, Business and Society, Organization and Environment, and Critical Perspectives on International Business. He is active with the Critical Management Studies interest group of the Academy of Management. During 1998/99, David was a Faculty Research Fellow at the Global Environmental Assessment project, Kennedy School of Government, Harvard University. He was the College of Management Leadership Fellow at UMass during 2008-09.